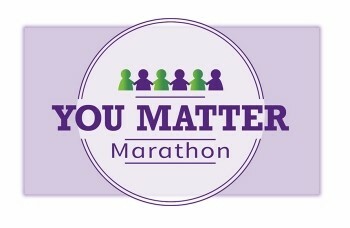 This time last year I was eagerly preparing to launch the You Matter Marathon. I knew first-hand how powerful and moving sharing even one You Matter card could be. And I wanted others to have this experience, too. What I could never have imagined was how many of you would choose to join me in this life-changing journey. I would have been content if we had met my original goal of sharing 10,000 cards during November. But you shared almost half-a-million cards. In 50 states and 59 countries. Still, even with that great success, I wrestled with whether to do this again. I invested over $26,000 to make it happen. I have a day job and a family that needs tending. Could I–should I–keep going for another year? Ultimately, I couldn’t turn away. Without any marketing, new people continued to sign up for the YMM every day, and they continued sending letters and photos about the wonderful ways they continue giving You Matter cards. I realized that sharing this essential message, fostering face-to-face connections, and empowering ourselves to make a meaningful difference is more important than ever. But I need your help to make it happen. This year, we’re taking the collective impact of the You Matter Marathon to new heights. Our goal is to share 1 Million You Matter cards in November. Will you join me? We can keep the cards free to participants if we all join together and make a small financial contribution to the You Matter Marathon. We are now a fiscally-sponsored program of Urban Affairs Coalition so your contributions to YMM are tax deductible. To double our impact, and to keep the cards free, we need $56,000 by August 30. Gratefully, a few organizations have already pledged support and I am reaching out to many others to get them involved. Here’s where you come in: Our goal is to use crowdfunding to raise $30,000 from individuals who have been touched or inspired by our mission. If each of us donated $15 right now we would easily exceed our crowd funding goal. Share the campaign with your friends on social media. Use this link, then click on the “Share on Facebook” button. If you know or belong to an organization that values the You Matter message and might like to be a corporate sponsor, click here to learn of our sponsorship levels and incentives. Thank you all for affirming your compassion for humanity in such monumental ways.